Bring back the show!! Seeing him in Arrow was a interesting crossover and it made me miss the show so bad. Please continue CONSTANTINE!!! It’s the only new watch-worthy tv series i viewed in recent years. Please please please.. think you’d have enough followers here to keep it feasible!! It’s not available in my country, yet i’m hooked watching it through the internet. I know that doesn’t help bring in the $, but if it’s available on primetime in my country, i’d be glued for sure! It will be nice to see Arrow, Constantine and Flash in few episodes together. We already saw Arrow and Flash, Arrow and Constantine, what about the three of them working together? Wouldn’t be a good idea? I loved Constantine. I would actually love to see either Netflix or Hulu pick it up for Season 2, but since the character appeared on Arrow recently (it was a great episode by the way! ), the CW should pick it up. The show would go great with their superhero line up. 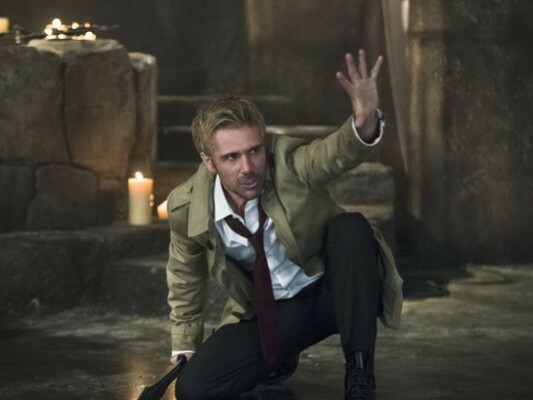 PLEASE bring Constantine back, my boyfriend and I were so excited to see his appearance on Arrow in hopes that it will return if not to NBC than it belongs on the CW. Bring back the Chain Smoking Sorcerer! Bring back Constatine. It was great when it was on NBC. I would love to see Constantine come back permanently on CW. I get attached to a character and then of course goes off television. Please bring the show back.